We are an independent estate agency specialising in residential sales and lettings. Our staff have over 14 years experience with endless dedication in providing the best possible service when deciding to move home. Our service begins with a free Market Appraisal to establish the full market value of your property. We will explain how our unique approach to marketing will help you achieve the best financial return in a timescale that suit you. Once marketing begins we will provide prompt feedback after each viewing and regular updates until a successful sale or let has been agreed. Our marketing consists of a mix of the traditional and latest technology along with a highly driven sales force. We upload to all the leading property portals including Rightmove and Zoopla, which boost your chances of attracting new buyers. We utilise local press advertising, direct mailing, proactive telemarketing and e-marketing all provided by local staff who are incentivised to be the most proactive sales team on the high street. 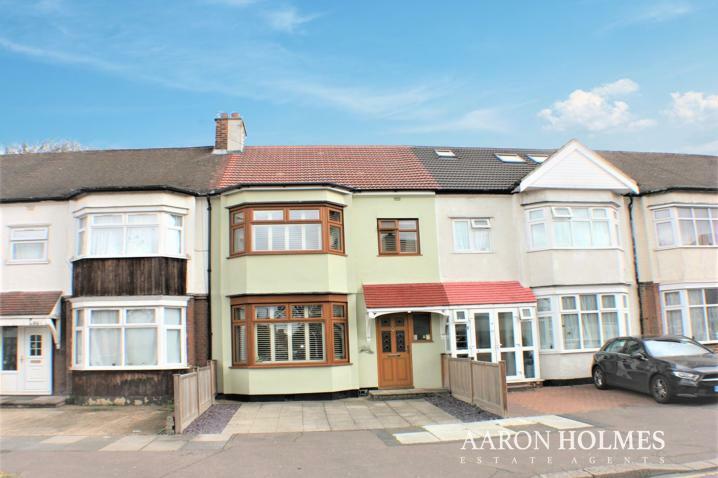 Aaron Holmes Estates Agency aims to be the most successful real estate agency in Greater London. With staff of well-trained estate agent professionals who continually strive to provide top quality service for their individual clients and customers. We strive to be professional and ethical in marketing, listing and selling of residential homes, flats, land and all property related matters. Considering our customers to be the most important part of our business we dedicate all our energy to providing a service that is second to none. Taking pride in our professionalism and doing everything possible to make sure that our customers are fully satisfied with our service and are kept informed of progress throughout. With our help and support we will make sure that your experience in selling or buying with us is a pleasant one.